Niceville is a city located in Okaloosa County, Florida. Niceville is close to Eglin Air Force Base and located on Boggy Bayou and Choctawhatchee Bay. The city originally started with the name Valparaiso, then to separate itself from the neighboring town took the unofficial name of Boggy. Upon incorporation as an official city in 1910, the name was changed to Niceville to attract more citizens and tourists. 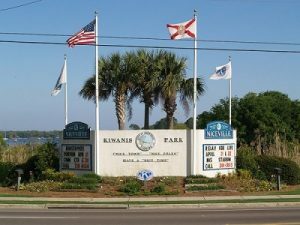 The city is ideally located just a few miles from Eglin Air Force Base and the pristine beaches of the Emerald Coast. The Boggy Bayou Mullet Festival is an annual seafood and arts festival held in Niceville in October and along with the Thunderbird Intertribal Powwow in November are just some of the many activities the area offers. Browse all the Niceville Florida real estate listings available and call me if you have questions or want to view a property 850-499-0778. ''WHERE You Did Not Know YOU WANTED TO BE'' You could search from Pensacola to Apalachicola; but, you will not find a house... a place you would prefer to this sweet spot. Just ask the folks who live here; because they actually did.The masterpiece of architecture is the work of Matt Savoie. Beautiful Undeveloped Property, with approx 450 Ft. on the Bay with a gorgeous view. The property also consists of Approx2.5 Acres that would be Ideal for Town Homes with Bay Access if rezoned. This is an excellent opportunity for a Builder who wants Beachfront bordered by Eglin AFB where other development probably wont occur anytime soon. Rare opportunity to own John Sims frontage in high traffic area. This is a modern free-span retail building built in 2004. Warehouse height is 14 feet at the side walls. Retail area is 11 feet to dropped ceiling. It has access on both the front and back of building. The lift platform accommodates various height trucks from utility trailers and pick-ups to standard freight trailers. AGGRESSIVELY PRICED to make your waterfront dreams a reality!!! Perfectly perched high and dry with sweeping westerly views across Boggy Bayou, this one-owner 2004 custom waterfront estate represents an exceptionally rare opportunity in Niceville. All at once it is stately and welcoming, practical and extravagant - a showcase designed to extract the most out of daily living. A European inspired lake front villa located in a gated community within Bluewater Bay Resort. Completely remolded with addition in 2007, this beautiful residence is professionally designed, feels like a new home and offers lake, golf course and bay views from nearly every window. This is a rare opportunity to build a large waterfront estate in Bluewater Bay. These combined lots are approximately 1.84 acres. Enjoy amazing sunset views from your back porch and fish off your private dock on the Choctawhatchee Bay. The owner will have deeded access to build a walkway over the wetlands to a private dock on the bay. Build a large estate or subdivide. Enjoy living in a home that has been designed by award winning builder Robert Fisher. This stunning home is located in one of Niceville's most sought after neighborhoods offering a beautiful design with fine finishes. Just steps to the community pool, tennis courts & club house. 100% OCCUPIED Average rent for area $921 per month. Build your dream home! On the water, high and dry with a beautiful new 'Classic Series' home from an award winning local builder. This new home will have 2707 sq ft complete and impeccably finished. Protected deep water, large lot and views, views, views!! Lot cleared to the water. Take a look!!! See attached pictures and documents for details, floorplan and plot plan. CAUTION: Prepare yourself to see a spectacular bay view all the way to Destin and an absolutely stunning brick home!! Remote control opens the blinds in the master bedroom to view the dolphins swimming in your back yard , then stroll down to the two level dock to relax or try your hand at fishing! No flood insurance required. There is a spectacular panoramic view of the bayou and the bay from many points at this waterfront home and property. You and your family can enjoy the sunrise each morning and occasionally dolphins at play from the spacious 20' x 14' back deck. Also enjoy fishing and boating from your own deep water dock with 2 boat lifts and 3 jetski lifts.